This is a simple (hopefully) guide to shopping at CVS for those who are unsure of how this whole CVS thing works! CVS has a loyalty card called an Extra Care Card that you use every time you shop there. Let me repeat: EVERY TIME you shop there. There are some sale items that will only scan at the sale price if you use your card. You also earn 2% back on all your purchases. CVS Extra Care cards are FREE and limited to one per person. You can pick one up the next time you are in a CVS or you can sign up for one online and have it mailed to you. If you get one at the store make sure to register it online. CVS occasionally sends emails with printable coupons for card-holders. There are Red Price Scanners (CRT machines) near the front of the store. When you go into CVS the first thing you should do is go to the scanner and scan your Extra Care Card. It will print CVS Store Coupons. These coupons can be used on items that you are also using a manufacturer coupon on. CVS allows the use of one CVS coupon (the store is giving the discount) and one manufacturer coupon (the manufacturer is giving the discount and will reimburse the store) per item. Extra Care Bucks, aka ECBs, are like CVS money or instant rebates. When you buy an item advertised as earning extra bucks you will pay for the item and then the ECBs will print at the bottom of your receipt. You cut these off and keep them like cash. Then the next time you buy something at CVS you can use your ECBs to pay for it. The best way to maximize your ECBs is to “roll” them. Buy something that earns ECBs then use those ECBs to buy something else that earns ECBs. This way you make an initial cash purchase and then use CVS money for all future purchases. Now, don’t waste ECBs! You cannot use a $10 ecb on an $8 purchase and keep the $2. Your purchase must be equal to or greater than (before tax) the ECB amount. You will not get cash back and your ECBs will not be carried over. ECBs can be used on anything in the store except the usual exclusions (Prescriptions, tobacco, stamps, etc.). In addition to the weekly ECBs that you earn for buying advertised products, you earn quarterly ECBs. CVS gives 2% back on all your purchases! So, every 3 months you will get an ECB for 2% of what you spent at CVS that quarter. If you spend $100 in one quarter then you will get a $2 ECB. Occasionally CVS issues Triple ECB coupons. You scan it once and it will triple your quarterly earnings from that point until the quarter is over. So, once you scan it you will start earning 6% back on all your purchases. The triple ECB coupon is not for the Weekly ECBs that you earn. Every week CVS puts out a circular with deals that are good for one week. There are regular sale items and there are ECB deals. ECB deals usually are the ones you want to look at for saving money. Though there are some good non-ECB deals too! With ECB deals you have the opportunity to maximize your savings! For one deal you can use a manufacturer’s coupon, a CVS coupon AND earn ECBs! There are also some ECB deals that require you to buy multiple items. You do not have to buy all the items at one time. You just have to purchase them before the sale period is over. Once you buy all the qualifying items or reach the dollar amount required then your ECBs will print. Each month CVS puts out an Extra Value Book with ECB deals that are good all month long. Some of these deals are featured in the weekly ads. Make sure to pay attention to the limits. If it is limit one in the monthly ad and is featured in the weekly ad at limit one that means it is limit one for the whole month. You don’t get to buy it when it is in the weekly ad and then buy it again later in the month. You will only get ECBs for the first one you purchase. CVS occasionally sends out $/$$ coupons. They are typically $4/$20, $5/$30, or $10/$50. That means if you buy $20 worth of merchandise (price BEFORE manufacturer’s coupons!) then you can use the coupon to get $4 off your total. You can use one per order and you can use all other coupons and ECBs in addition. When shopping at CVS it is best to give your coupons in this order: $/$$, manufacturer & CVS coupons, ECBs. This way there is no confusion over whether your total meets the $/$$ requirements and you also can make sure your total is high enough to use your ECBs effectively. 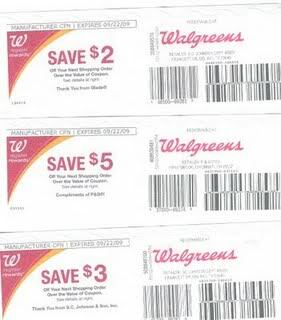 Walgreens is a bit more complicated than CVS (to me anyway) because of their many varieties of coupons. 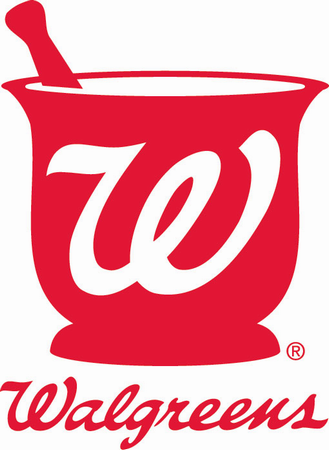 Since they have had some irresistible deals lately I thought I should post a guide on how to shop at Walgreens effectively. These are coupons found in the weekly store ad. They usually advertise a price (ie: Dawn Dish Liquid 99¢) and most have a limit on how many items you can buy with the coupon. You must use the coupon in order to get the advertised coupon price. If the coupon says Dawn Dish liquid 99¢, limit 4 then you can buy 4 Dawn and use the one coupon. 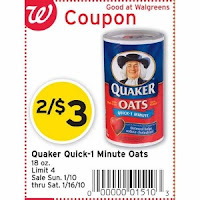 Once the coupon is scanned it will subtract a certain amount that will make all 4 Dawns 99¢. If you buy more than the limit then you won’t get the sale price for all the items. These coupons can be combined with all other coupons. Also, you don’t have to cut them out! Just show the cashier the coupon you want to use and they will scan it or type in the coupon code. The Walgreens EasySaver Catalog is found at the front of the store with the Walgreens Weekly Ad. The front of the booklet has Walgreens coupons called Instant Value Coupons – IVC. These coupons can be combined with manufacturer coupons. They usually have a limit of how many items you can use one coupon on but sometimes will work for more than the limit. I recommend doing separate transactions if you want to get more items than the limit. These coupons do not have to be clipped either. 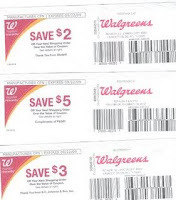 Walgreens Register Rewards – RR – are manufacturer coupons that print out when your transaction is complete. They are coupons that are used on your next purchase. When doing a deal that earns Register Rewards you CAN use coupons! Coupons have no effect on the deal. If the Reward doesn’t print then you either bought the wrong items/not enough items or there is a problem with the system/Catalina machine. Usually the manager will resolve it. When you earn a Register Reward you can use it to buy other items that earn Register Rewards, but not on the same deal. For example: Buy Tylenol for $3.99, earn $3 Register Rewards. Then buy Gillette Razor for $7.99, use $3 RR from Tylenol, earn $4 RR for Gillette. You cannot use the $3 Tylenol RR to buy more Tylenol and earn another reward. Using the Reward will cancel out the Register Reward that you should be earning. But, you can use Register Rewards on OTHER deals earning Register Rewards. Walgreens registers will not let you use more coupons than items purchased (excluding Walgreens Ad Qs & IVCs). So, you can buy 1 item, use an IVC and a manufacturer Q and it will be fine, but if you try to use a RR too it will not let you. Add a cheap candy or pencil to your order and the register will accept the coupon. If you want to buy 1 item you cannot use 2 RRs to pay for it because the number of coupons is exceeding the number of items. The best order to give the cashier your coupons is Manufacturer Coupons, then IVCs, then Walgreens Ad Qs, then Register Rewards. That way there is a possibility for overage (not all stores will allow it though). For example: Gum is regularly priced $1.19, use a B1G1 coupon which will deduct $1.19 then use the Walgreens Weekly Ad Q that makes the gum 2/$1 which will deduct $1.38 from your order. That means you get the gum free plus 19¢ overage. Rite Aid’s +UP rewards look like this, and they print off the end of your receipt after you have paid. You can use these as cash off your next order. They have to be used in one transaction, they will not give you change if your +UP reward it bigger than your order total. You can find which items will give you +UP rewards from their weekly ad, you can see that this particular week Motrin PM has a +UP reward of $2. You can use Manufacturer coupons and Store coupons with an item that has a +UP reward. The weekly ad told us in this picture, that we would be getting a $1 manufacturer coupon in Sunday’s paper to make this FREE! You can use +UP rewards to pay for other items right away. I stand at the register and rip off my +UP rewards to pay for the next transaction, I will sometimes do this up to 10 times just to keep my out of pocket costs lower. Unlike Walgreens Register Rewards, you may use +UP rewards to pay for the same item that you just received the +UP rewards from. Consider the Motrin PM above: You could take the $2 +UP reward that you earned from the 1st bottle purchased, purchase another bottle and pay with the $2 +UP reward you just received. Many times the ad will inform you of a limit, this would be an amount of items that you can purchase and receive the +UP reward back. You can still purchase the items at the sale price, but will not be receiving the +UP rewards back after the limit is reached. You can also use manufaturer and store coupon on SCR deal to make the deal even better! A SCR is a rebate that you will get back at the end of every month. Everytime you purchase an item that has a Single Check Rebate with it, you will need to input the information to your receipt to qualify for the money back. You can insert as many receipts with SCR items on them as you want throughout the month, but can only request ONE rebate check at the end of the month. Follow these steps below if this is your first time putting receipts into the SCR system. 2.) Sign up for a Rite Aid Wellness Plus card. If you already have one get it out to do the next step. 3.) Create an account, or log into your account. They will ask you for your Store card when you sign up for the first time. 4.) After you have signed up head back to Riteaid.com and look for this logo halfway down on your left. You will click on this when you have an item that qualifies for a SCR. You will sign into your Single Check Rebate account, or create a new one. 5. )You will need to enter your receipts in here, it will look like this. You can find all the information at the top of your Rite Aid receipt. Once you have entered in your receipts, you will get an email within 2-3 days letting you know that your account has been updated. Log back into your account and you will see that you have received your rebate. 6.) At the end of the month, log back into your SCR account to request your check. Checks usually take 1-2 weeks to get to you. They can either be cashed at your local bank, or you can use them right at the checkout at Rite Aid like cash. The only difference is that you cannot get change back if your total is less than the amount of the SCR check, so plan accordingly. What are Video Values Coupons? These are Rite Aid coupons that you get from watching short video clips from Rite Aid’s website, you can sign up for a Video Values account here. These are store coupon,s and may be using combined with Manufaturer coupons. You watch 1 video and receive a coupon for watching the video. 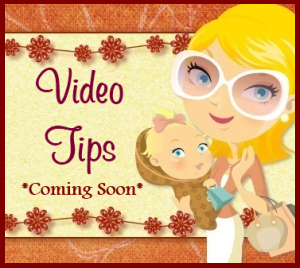 You can use only one Video Value coupon per product, per month. You cannot print out multiple copies of these coupons, they will not work and will say ‘previously used’ at the register. 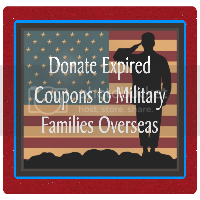 You can use them along with one Manufacturer coupon per item. These expire the month after you have watched them, and new videos come out every month.